Your Holiday Lights specializes in commercial Christmas lights installation in the East Valley areas of Chandler, Gilbert, and Tempe. Create a unique and custom ambiance this holiday season and make your business stand out. We offer a wide range of lighting options for you to choose from. Making commercial holiday light installation look classy is difficult. That’s why Your Holiday Lights guarantees you a professional and inviting product you and your customers will be proud of. Take advantage of our special packages which include custom design, installation, maintenance, removal and storage of Your Holiday Lights. Custom Design including lights, wreaths, garland for interior and exterior application. Removal and storage of all lights and materials. Festive lighting during the holiday season will make your business stand out. During the winter months darkness sets in earlier so having beautiful bright lights will help catch the eye of customer passing by. Embracing the holiday spirit will enhance your curb appeal. Holiday lighting will create a warm, comfortable environment for your customers and employees. Your Holiday Lights creative displays with give your business a unique look. It will also signify that your business is joining in on the holiday fun. A morale boost is always welcome in the workplace. 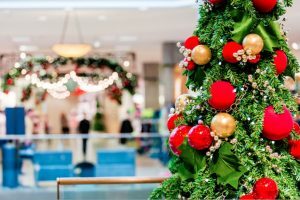 Letting your employees know that you are celebrating the holidays right along with them is an excellent way to improve morale. Your Holiday Lights is sure to uplift the work place.